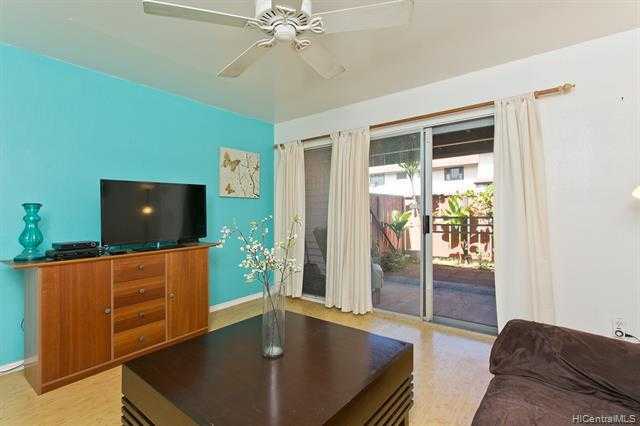 Nice quiet, clean unit located off Lanikuhana Ave. Private gated lanai area with low maintenance landscape for your own private retreat. Minutes away from shopping and restaurants and entertainment at the Town Center of Mililani. Close to bus lines and Kamehameha Hwy. Pet friendly complex. Perfect for those that want to be part of the Mililani Community! Good schools and sports leagues. Close commute to Schofield Barracks and Pearl Harbor. Please, send me more information on this property: MLS# 201910768 – $419,000 – 94-1436 Lanikuhana Avenue Unit 467, Mililani, HI 96789.